We had a server that could not be powered up about a month ago. Following records the problems encountered and how they were fixed. Server was installed with CentOS, and Virtuozzo. To bring server up as fast as possible, we decided not to troubleshoot the individual components in the server chassis. Instead, we moved the hard disks over to another chassis. 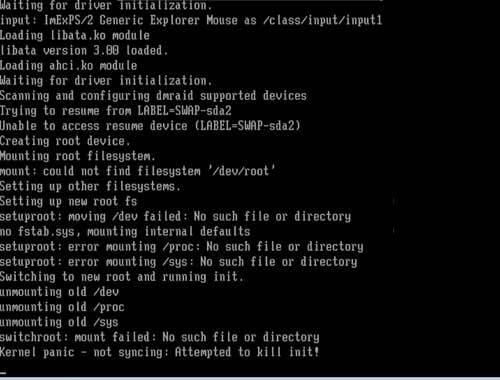 Unfortunately, when booting up, /dev/root could not be found, as shown in following screen shot. This was due to initrd.img not loading device driver for the different SCSI card in the replacement chassis. To fix this, we booted up using a CentOS installation disk, i.e. 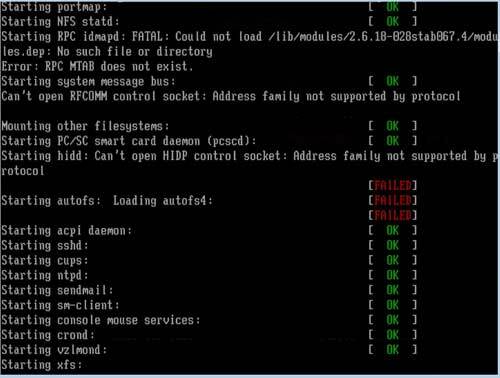 linux rescue, brought up the network interface, and scp the initrd.img, i.e. /boot/initrd-* from a working server with the same chassis, and rebooted. Server booted up okay thereafter.